Tilting Wall Mount for 37" to 70" TVs + FREE HDMI Cable Only $18 + FREE Store Pickup! You are here: Home / Great Deals / Tilting Wall Mount for 37″ to 70″ TVs + FREE HDMI Cable Only $18 + FREE Store Pickup! 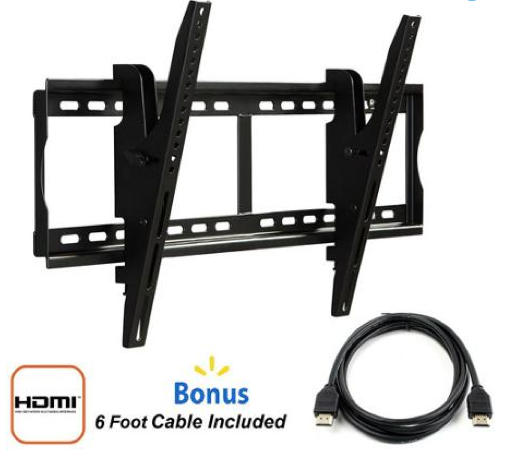 Tilting Wall Mount for 37″ to 70″ TVs + FREE HDMI Cable Only $18 + FREE Store Pickup! Hurry and snag one of these awesome Tilting Wall Mount for 37″ to 70″ TVs + FREE HDMI Cable for Only $18 + FREE Store Pickup! Not a bad deal considering this size usually goes for $40 and much more! !